Need to price it up? In recent months, we have seen a significant improvement of the resolution of computer displays. Apple’s ‘Retina’ generation of screens is an example where the number of pixels has been quadrupled to push the quality of the display closer towards the limit of human vision. All of this has been designed for the content to lose its pixelated appearance and start looking more ‘real’ to our eyes. In print, on the other hand, things haven’t been quite so revolutionary lately. The magic number of 300 dpi has been around for some time, but fear not, as it means the image quality is just high enough. So, why ‘300’? How the image resolution, in print and in general, relates to human vision? Our eyes also have a kind of a ‘resolution’ and this resolving power is called visual acuity. It tells how sharp our vision is and it’s measured with a familiar Snellen chart. 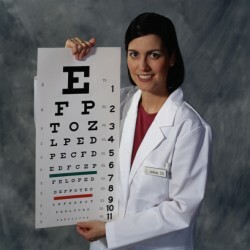 A person whose sight is being tested, stands at a certain distance, usually 6 metres, and reads rows of letters until the smallest of them can be deciphered. The letters in each row are of specific measurements, so the optometrist knows exactly how acute our vision is. The visual acuity is then expressed in form of ‘X/Y’, for example 6/6, 6/12, 6/3. The numerator is the 6 m distance and the smaller the denominator is, the better our vision. 6/6 vision is considered nominal performance of human sight and with this in mind we can try finding more comprehensible value and see how it relates to our magic number. 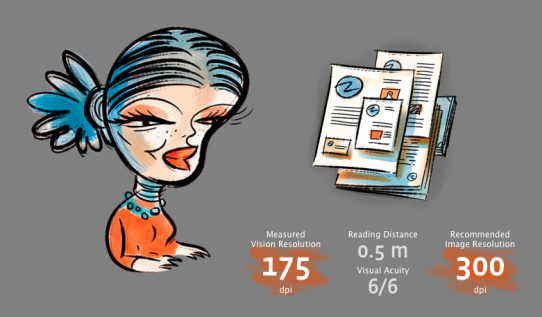 We will convert visual acuity to more familiar value of DPI. To do this, we’ll need to do some fairly uncomplicated maths. The resolution of our vision is measured in arc minutes. 1 arc minute is 1/60th of a degree and for 6/6 vision it’s exactly 1 arc minute. As it’s the case with any angle, it becomes larger with distance from the point of origin (our eye), so we need to know at what distance we want to measure the angular diameter to complete our calculation. The interpretation is that a person with the nominal 6/6 vision and at a distance of 300 mm sees with the ‘resolution’ of 282 DPI. Isn’t it close to our magic number of 300 DPI, commonly used in print? Obviously it is impossible to use this one value in all print situations. Large posters need much less of image resolution as people typically look at it from far larger distance. 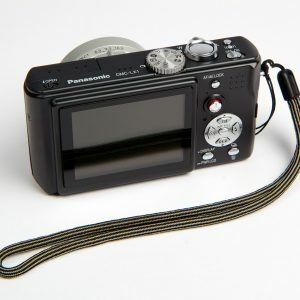 But for all ‘handheld’ formats like books, leaflets or catalogues the magic number of 300 dpi seems to make perfect sense. To make it easier for all designers wanting to know what image resolution to use for their print project, I have added yet another handy tool to our Facebook page that automates the above calculations and gives an exact measurement of visual acuity at several distances, as well as our own recommendation for image resolution in print. Try our ‘What Image Resolution?‘ tool now and don’t forget to share it with your friends! How to supply a logo suitable for print? Brilliant, lively and entertaining. 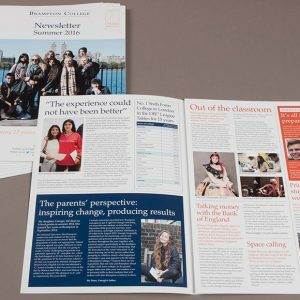 Get the latest insights into the world of print and design. Intro. Boasting a host of B1 litho and digital print solutions to serve all of your communication needs. With two decades of knowledge and experience to compliment our state of the art kit, building our reputation on trust, quality, flexibility and reliability second to none as our client list shows. Just fill our quick form and voila! Call us on 020 8963 0123 and our advisors will help you through. We’ll do our best to call you back ASAP. View our rather impressive product gallery for inspiration and guidance. Contact us today if you’re after the full tactile experience in the comfort of a sofa at our Samples Room. 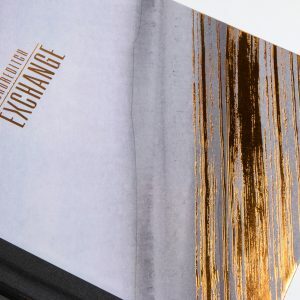 Box set looks awesome – yet another quality marketing piece produced by the now legendary Printhouse Corporation! You guys have been great; client very happy, we are very happy and you have been a pleasure to work with. Thank you. No project or deadline is ever a problem for the team at Printhouse. Marketing material is always delivered quickly and to the highest of standards encouraging Regal Homes to continue instructing Printhouse again and again. I don’t give testimonials lightly, but your prospects should know how outstanding your work & service has been. Thanks a lot for your patience, you have been more than helpful! It’s a pleasure to deal with nice suppliers like you! Many thanks for your attention and brilliant delivery service – I would recommend you to anyone! I really enjoy working with the team at PrintHouse. The advice and recommendations are always spot on, and I know I will get a creative and thoughtful design. This is why I love you all! You make the ordinary extraordinary! Thank you for pulling it together. It looks fantastic! You guys really are fantastic! Thank you so much, I really can’t believe how great you’ve been. Thanks so much for all your hard work and thanks to your super team… it’s been a pleasure sir! Enjoy showing it off, as we will!! Thank you for a great service – very slick whilst still very personable. We have been working with PrintHouse for several years now and have never been disappointed with product or service. Always helpful and always willing to go over and above what we ask, we trust them implicityly to find the best solution. Many thanks for a beautifully finished production. It counts for a lot to have printers you can rely on. In creating our very first Card and Gift Guide, Dan and his team made the process run so smoothly. Not just a print house but so much more…they couldn’t do enough to make sure this project was a success. You’ve provided us with a unique and quite brilliant solution. Dan, yet again you’ve come to our rescue – don’t know how you do it but please just keep doing it! Stunning job; everyone loves it! Exceptional on quality, cost and delivery, PrintHouse always seem to perform miracles! With regard our book production I would like to thank you and the team for a most brilliant job. Working with everyone at Printhouse has been an absolute pleasure. I love the way you guys always say yes no matter what. Perfect job yet again! Without wishing to sound like an advert, I’m absolutely delighted with the results and will be using you for all my printing needs. Your team is beyond outstanding – my brochure is unbeatable. Thank you! We have received the book this morning, the result is stunning, everybody loves it here! Thanks a lot for your hard work and flexibility. I was so impressed by your dedication, creativity and efficiency and am so pleased that we went with Printhouse and took your recommendations on board. Great customer service; your team is tremendous and a pleasure to work with – thanks again. I have say that I am absolutely thrilled with the quality and both myself and my colleagues feel that your service throughout has been faultless. We’ve used several printers over the years yet this is the first time that the quality and service has ‘over delivered’. Your flexibility has saved the day for us time and again and I wanted you to know how much it’s appreciated. PrintHouse challenge our pre-conceived design ideas and help us to deliver consistently striking marketing materials across of broad range of mediums. 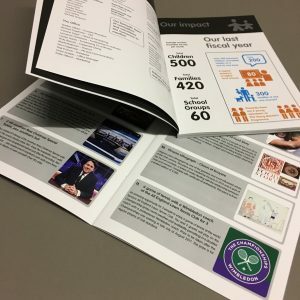 I just wanted to thank you for overseeing the excellent job you recently produced for us and also for ensuring that the brochures were delivered to our client on time. We always strive to run things with the environment in mind, be it using recycled/responsibly sourced papers, machinery running with no harmful chemicals or printed using vegetable inks. It means, taking care of both your marketing and the planet.